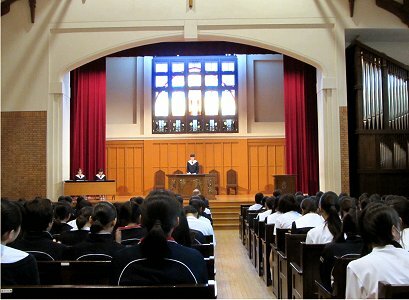 HOME > 学院生活 > English News一覧 > Eiwa High School English Contest! 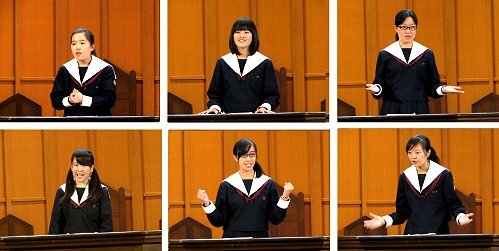 Eiwa High School English Contest! The judges were the 2 Eiwa native speaker teachers. The judges looked for good English pronunciation, intonation and of course gestures. 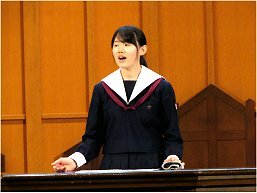 Later this year, one of the 6 prize winners will be chosen to represent Eiwa at the Shizuoka Ken Chubu Speech Contest next September. Later, the guest speaker, last year’s JGF student gave a great speech. 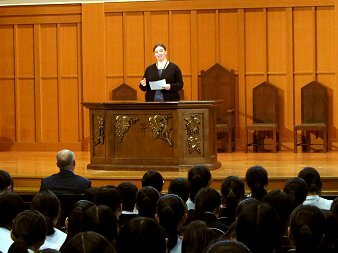 Ms Sugihara’s speech title was “Speaking Up Can Change Your Life”. Well done to all the students who took part in the contest. Congratulations to the winners.